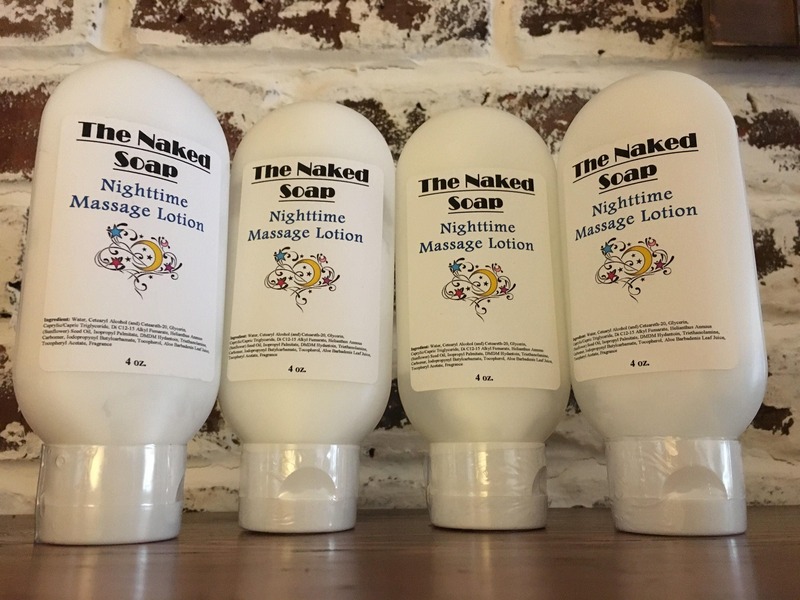 Nighttime Massage Lotion is a light and silky lotion. It glides gently over the skin and will help relax you for bedtime. So nice, you will want to use it every night! Also great for children. Use with caution on small children. In case of skin sensitivity. ingredients: Water, Cetearyl Alcohol (and) Ceteareth-20, Glycerin, Caprylic/Capric Triglyceride, Di C12-15 Alkyl Fumarate, Helianthus Annuus (Sunflower) Seed Oil, Isopropyl Palmitate, DMDM Hydantoin, Triethanolamine, Carbomer, Iodopropynyl Butylcarbamate, Tocopherol, Aloe Barbadenis Leaf Juice, Tocopheryl Acetate, Fragrance.